Samsung launched two (2) new smartphones at MWC (Mobile World Congress) on Sunday March 1 2015, a day before the busy week of Monday March 2nd 2015 to Thursday March 5th 2015 in Barcelona, Spain,…….and left me breathless and without words. So too have the editors of various magazines, who have already had a chance to review these twin nubile pair of smartphone royalty. 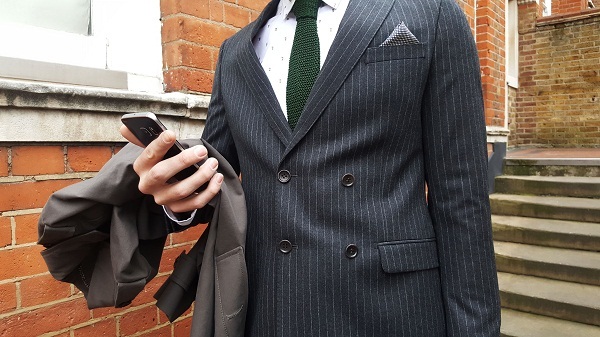 Now word on the street is that Samsung , according to Industry Sources is launching a record breaking £45 million Marketing Barrage in the United Kingdom for the Samsung Galaxy S6. Advertising is being done across all traditional and new media marketing channels targeting mass audiences, even with extensive digital billboards in the London Underground network. All in a bid to upstage the Apple iPhone 6 and the Apple iPhone 6 plus, who sales figures have been beating Samsung consistently in First World Markets such as the US of A, Canada, United Kingdom, the EU (European Union) and interestingly even in China. The first was expected and actually long anticipated……the Samsung Galaxy S6. 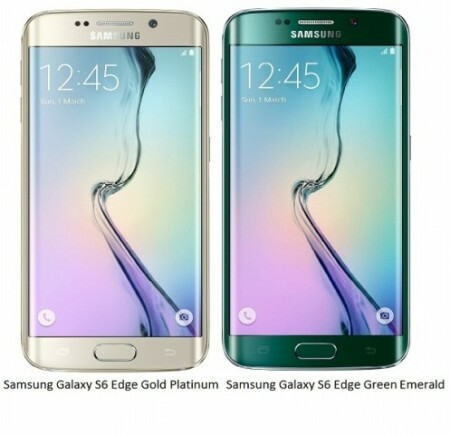 The second, the Samsung Galaxy S6 Edge, was also rumoured but totally unexpected. Still, I should have expected this with the nascent success of the Samsung Galaxy S6 Edge screen concept. The Samsung Galaxy Note Edge went live in the US of A in September 2014, mere months before its sister, the Samsung Galaxy Note 4 was launched at the Samsung Experience Store in Jamaica on Thursday October 16th 2014 as per my article Samsung Galaxy Note 4 is a flatteringly fabulous Phablet with an improved S Pen. Hence the reason why my mouth is still on the ground from the shock of just seeing the Samsung Galaxy S6 Edge being launched, suggesting this edge screen concept for a display is spreading from the Galaxy Note line to the Galaxy S line and possibly to all of Samsung’s other smartphones. 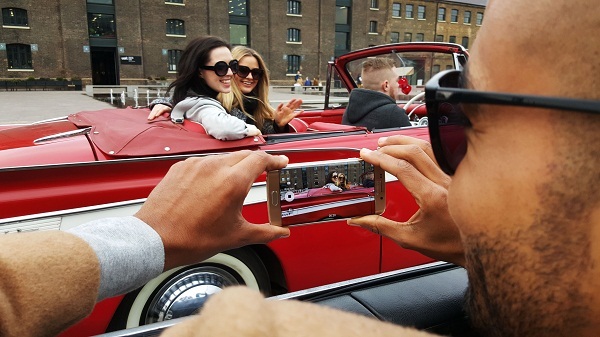 Should I expect a Samsung Galaxy Alpha Edge soon, seeing as the Samsung Galaxy Alpha A5 and A3 are not in Jamaica as noted in my article Samsung Galaxy A5 and A3 – Selfie-Taking Fraternal Twins? According to Samsung key accounts manager Kenneth Moore, it is expected to do well in Jamaica by Thursday April 16th 2015, when it’s expected to launch, quote: “It’s basically continuing to improve on what we feel is industry leading camera technology. It’s our flagship device and we expect to ‘mash up’ the market like what the Jamaicans would say”. 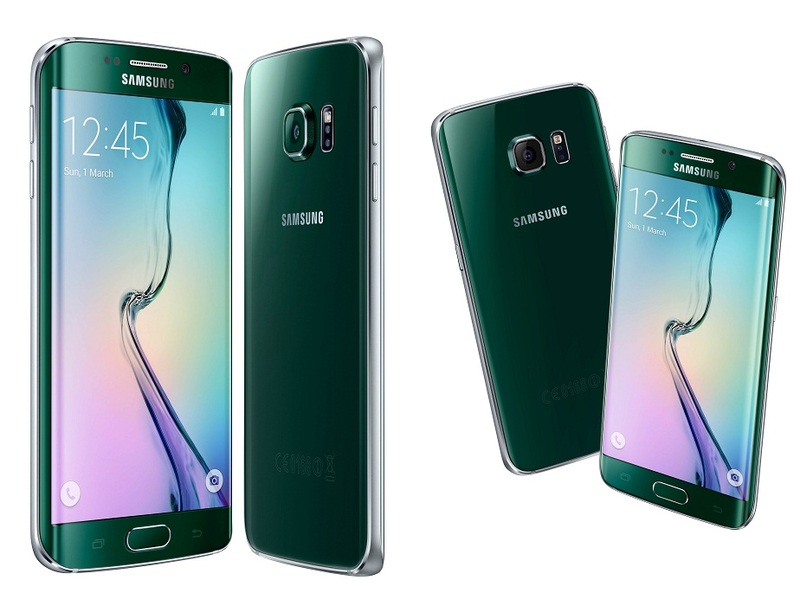 That’s right folks, the Samsung Galaxy S6 and the Samsung Galaxy S6 Edge are coming to Jamaica by Thursday April 16th 2015 to “mash up” the market. So expect another round of Press Events at the Samsung Experience Store akin to the one that launched the Samsung Galaxy Note 4 as detailed in Samsung Launches quartet of Note-worthy Products to Tab into the Gear S Alpha in all Jamaicans along with other products on Thursday October 16th 2014. So what’s so exciting about these new smartphones that’s worth writing home about? It’s all about that Edge baby! For the first time, Samsung is going Full Metal Alchemist with an all-metal design for the Samsung Galaxy S6 and Samsung Galaxy S6 Edge. This is not just on the bezel as was the case with the Samsung Galaxy S5 as noted in Kelroy’s article Samsung Galaxy Note 4 Review – King of the Phablet niche. This is Glass and Steel panache! 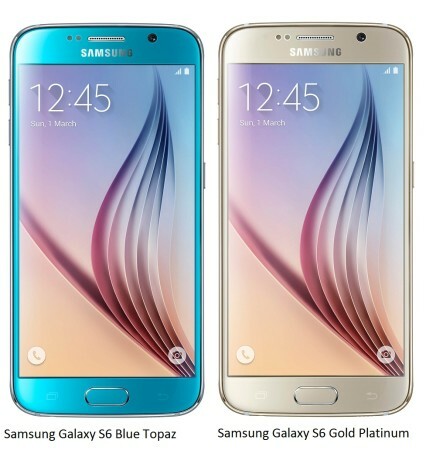 Ditto too the Samsung Galaxy Alpha A3 and A5, both of which got the metallic bezel treatment as noted in the article Samsung Galaxy Alpha’s Metallic Band as Wearables will shrink 5-inch smartphones. This means a less plastic-like feel and a better, cooler metallic hand-grip with a unique texture that plays really nicely with every scintillation of light off its polished metallic surfaces. Both the Samsung Galaxy S6 and Samsung Galaxy S6 Edge are 5.1’’ Quad HD Super AMOLED Screen with Corning Gorilla Glass 4 back panel. That translates to a resolution of 2560×1440 with 577ppi (pixels per inch). Samsung Galaxy S6’s dimensions of 143.4 x 70.5 x 6.8 mm (5.65 x 2.78 x 0.27 in) are completed by its featherweight 138 g (4.87 oz), with the Samsung Galaxy S6 Edge being a shade shorter and wider yet thicker 142.1 x 70.1 x 7.0mm, resulting in the smartphone losing some 6 g (0.21 oz) to weigh in at 132 g (4.66 oz). So what’s it like under the hood? At this point going forward, it’s good for me to note that the Samsung Galaxy S6 Edge is really the Samsung Galaxy S6 with an edge to Edge Screen; they are really the same smartphone, just with slight aesthetic variations. Under the hood, they are quite the same with some revolutionary tech that along with the all-metal design, be a worth Apple iPhone 6 and Apple iPhone 6 plus competitor. For one, both the Samsung Galaxy S6 and Samsung Galaxy S6 Edge are running the latest version of Google Android 5.0 Lollipop on a 64-bit Octa-Core Processor, which is really two (2) Quad-Core Processors, the 1.5 GHz Cortex-A53 & Quad-Core 2.1 GHz Cortex-A57 sharing the same Chipset and assisted on the Graphics side by a Mali-T760 GPU (Graphics Processing Unit). Combined with the 5.1’’ Quad HD Super AMOLED Screen, this basically qualifies the Samsung Galaxy S6 and Samsung Galaxy S6 Edge as the world’s first 14nm Mobile Quad-Core Processor with 64-bit platform, effectively a mini Laptop in your hand. With support from 3 GB LPDDR4 RAM and options of 32 GB, 64 GB and 128 GB UFS 2.0 Internal Memory, it mathces the Apple iPhone 6 and Apple iPhone 6 toe-to-toe. Samsung also touts that fact that they Samsung Galaxy S6 and Samsung Galaxy S6 Edge has the world’s first 1440P/VP9 hardware based codec that translates to high resolution streaming video with reduced power consumption from the 2,550mAh and 2,600mAh respectively. Samsung Galaxy S6 and Samsung Galaxy S6 Edge is packing the selfie-ready Rear-Facing 16 Megapixel Camera with a complementary front-facing 5 Megapixel Camera. It’s packin’ Auto Real-time HDR (High Dynamic Range), OIS (Smart Optical Image Stabilization) and IR Detect White Balance. Translation: better well lit, motion distortion free images, even under very bad or dark lighting conditions. The Camera is now accessible via a new Quick Launch feature that involves double clicking the Home screen, ensuring that you never miss a moment while fumbling for your camera setting on your smartphones. It also makes me wonder if it’s worth mentioning that there is no microSD Card Slot on these creatures….not that you’d notice that with that much storage to store everything but the kitchen sink. It does, however, use a Nano-SIM and provides quad-band for GSM on 850 MHz, 900 MHz, 1800 MHz and 1900 MHz, which hints at compatible with both Digicel and LIME. This also means that you’ll have to cut down your current SIM Card to size as described in How to make your own Micro-SIM or Nano-SIM Card. The Samsung Galaxy S6 and Samsung Galaxy S6 Edge is a veritable jukebox that can connect to your Samsung Panoramic WAM7500 and WAM6500 Speakers via Bluetooth 4.0 to light up your room as described in Samsung Panoramic WAM7500 and WAM6500 Speakers with Curved Soundbars at CES 2015. Even better, you can bring the music with you using the Samsung Level Box Bluetooth Speakers, which made great Christmases 2014 gifts by the way as noted in How Samsung’s Top 7 Christmas Gift List can make Christmas unforgettable. Wireless Internet support also comes in the form of 3G HSDPA with Quad-band support for 850 MHz, 900 MHz, 1900 MHz and 2100 MHz, which again means it’s compatible with both Digicel and LIME. It also supports 4G LTE and may potentialy work on Digicel and LIME’s soon-to-be-launched 4G LTE Networks. The Samsung Galaxy S6 and Samsung Galaxy S6 Edge come with built in support for Wi-Fi 802.11, Wi-Fi Direct for fast Data Transfers and Mobile hotspot enabling up to five (5) of your friends to enjoy the Internet. 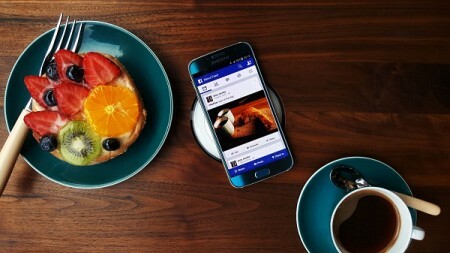 Samsung is bringing Wireless Charging as a standard on all their smartphones as noted in Samsung declares 2015 Year of Wireless Smartphone Charging becoming an Industry Standard so the Samsung Galaxy S6 and Samsung Galaxy S6 Edge come with a fully embedded WPC and PMA certified wireless charging technology. 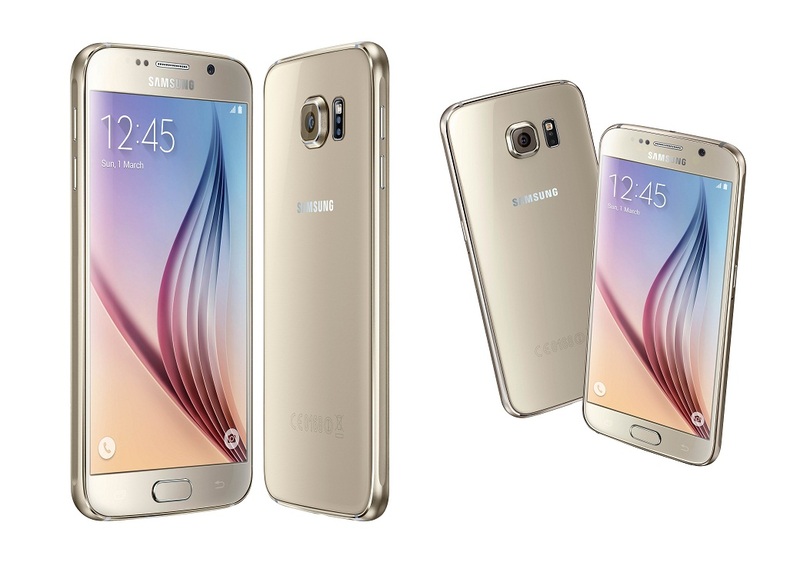 So no more delays in charging your Samsung Galaxy S6 and Samsung Galaxy S6 Edge. Their latest Smartphone charging tech promises full recharge, 1.5 times faster than the Samsung Galaxy S5. If you’re in a rush, you can quick-charge your Samsung Galaxy S6 and Samsung Galaxy S6 Edge in only ten (10) minutes and get some four (4) hours of usage! Apple, can you beat that? Samsung Galaxy S6 and Samsung Galaxy S6 Edge is also packing Samsung KNOX Security, their security solution for enhanced VPN (Virtual Private Network) access as described in the article AnyConnect for Samsung Knox is a Cisco Systems partnership for Secure VPN Communications. Samsung KNOX also offers defense-grade features for real-time protection from potential malicious attacks such as those caused by malicious Apps from Third-party App Stores and even the Google Play Store as noted in Google Play Store Apps with AdWare threat to Android Security. This is going to be necessary for Samsung it their other offering, Samsung Pay, their Mobile Wallet solution, that’s powered by both NFC (Near Field Communication) and MST (Magnetic Secure Transmission). This which potentially makes the Samsung Galaxy S6 and Samsung Galaxy S6 Edge worth with any Merchant Card Reader, even those set up to process Apple Pay, Google Pay and Paypal, their main rivals in the burgeoning Mobile Money Market in the US of A. Combined with Samsung KNOX security, fingerprint scanning and advanced tokenization, Samsung Galaxy S6 and Samsung Galaxy S6 Edge are secure enough to do most Mobile Wallet Transactions, making this technology near-difficult to hack and secure enough to replace money. Samsung throwing their hat into the ring with Samsung Pay is a sure herald for the coming of a True Cashless Society in the First World Countries which may eventually trickle down to Developing World Countries like Jamaica. Finally, if you are the forgetful types that worries about losing your smartphones with all those Credit Cards loaded into your Samsung Pay Mobile Wallet fret not. Samsung Pay will not only protect your Credit Cards when the thieves get a hold of it, but you can eventually get a hold of the thieves using the Find My Mobile Tracking the feature. This not only allows you to locate your smartphone but also to implement a Reactivation lock that prevents anyone from accessing your precious data. So will you be at the Samsung Galaxy S6 and Samsung Galaxy S6 Edge launch at the Samsung Experience Store by Thursday April 16th 2015? Just look out for an R.S.V.P Invitation to the product that’s set to “Mash up” Jamaica to find out more about pricing and availability in Jamaica!